Graphic North offers a full range of Digital, Offset, and Large Format printing services. 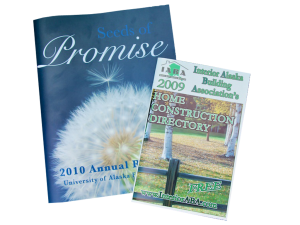 Whether you need business cards and invitations, big color posters and banners, or a large volume of booklets and brochures, we can handle your print projects. Graphic North has state-of-the-art digital printing equipment that produces vibrant color and crisp black and white contrast––whether you’re printing simple text or more complex items like brochures, postcards, fliers, newsletters and booklets. Our digital printing service is perfect for lower quantity projects and when you need a quick turnaround. Our digital printing presses are equipped to handle many paper sizes and weights, and we can print black & white or full color – whatever your project requires. Using color has a significant impact on the readership, retention and response rates of printed pieces. Research has shown that using full color can increase impact by as much as 15% over black and white. With the digital printing services at Graphic North, you can print in full color quickly and affordably. Call us today, and we’ll show you how. We can help you to determine the best print method for your project and budget. We can also advise you on design, sizing and paper options—all at very competitive pricing. Call us or request a quote today to get started. Offset printing is the ideal service when you need large quantities and/or specific color choices, paper and sizing options. It’s also the most common method of printing on envelopes. Our offset printing services can handle projects as small as 3×5 inches and as large as 12×18 inches. In addition, we can accommodate large printing jobs up to 25,000 impressions. Have a job larger than that? Give us a call, and we’ll help you get it done quickly and affordably. Not sure if digital offset printing services are right for your project? We will work with you to select the print method best suited to your project and budget. As printing experts, we help you get the job done right, the first time. We can also advise you on design, sizing and paper options, as well as offer a full range of finishing and binding services. 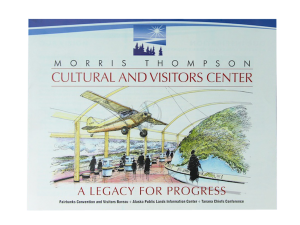 Let us help produce your large format printing projects. Whether it’s printing posters, banners, charts, presentation graphics, or oversized photos, we can offer the large format printing services you need to produce high-quality, highly-visible pieces. We print up to 24 inches wide by almost any length, and can print on a variety of materials––from plain paper to canvas. Need creative help? We have a helpful and professional design department. Contact us today and find out what we can do for you. Send us your files via our secure dropbox! Use "FileDrop" for occasional uploads without a log-in. All files must be LESS THAN 2 GB in size. If you need to send us files on a regular basis, please contact us.We can create a login for your organization to upload, delete and manage your files as needed. If you have any questions about file preparation or uploading, please feel free to call us at 907-452-1907.